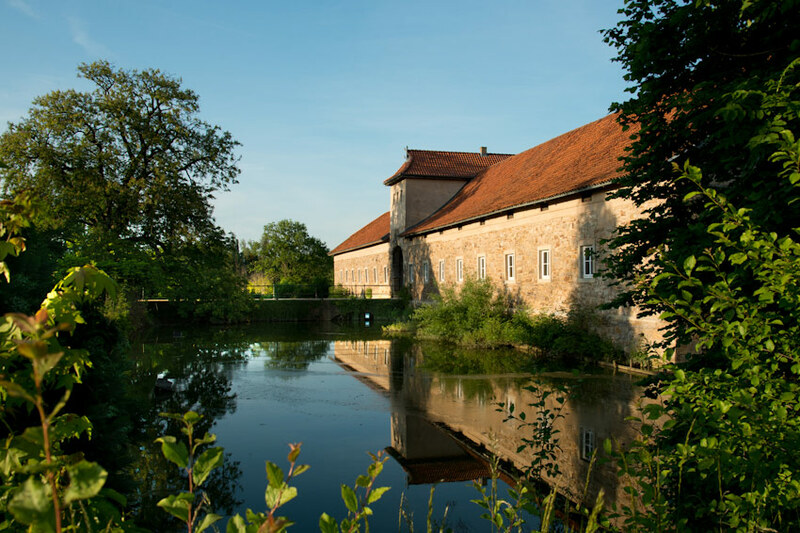 For twenty generations now, Remeringhausen Manor’s affairs have been conducted by our family. We have made it our goal to preserve these cultural and historical values for future generations, and we give this mission all the energy we possibly can. An end to the restoration works is not yet in sight, and finishing this project will take a lot of our and our descendants’ efforts and commitment for many years to come. 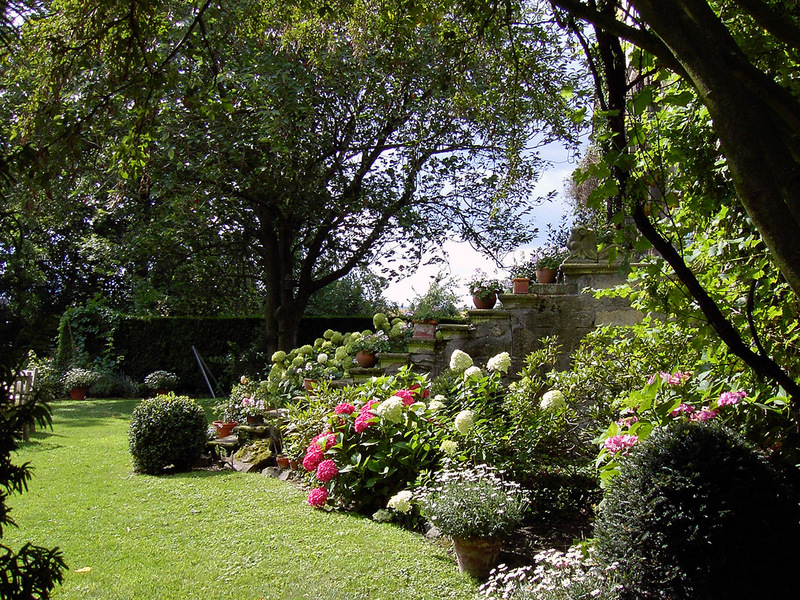 The von Schöning family is looking forward to meet You! It was with great care and caution that we introduced modern utilization concepts to slowly open up the manor to the public. Both the building and the park have been extensively restored and maintained during the past years. 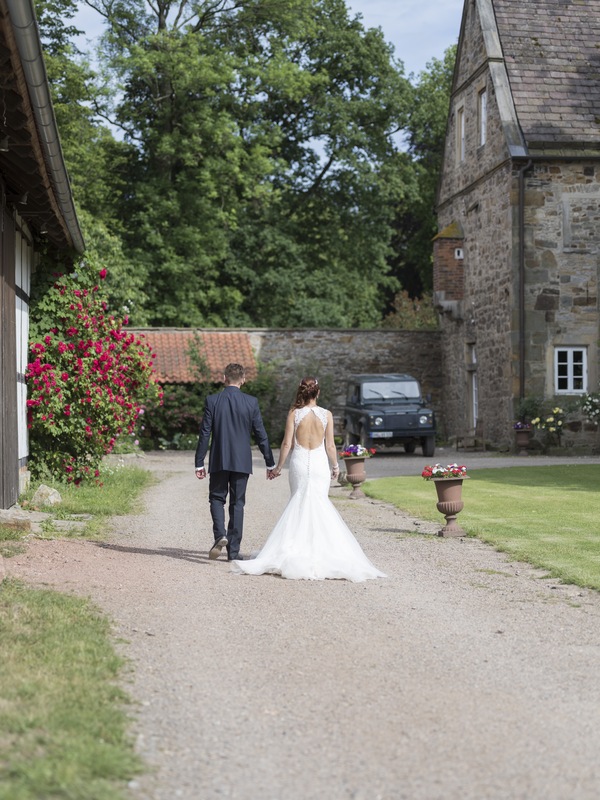 Today it is possible to visit the manor on many occasions, while at the same time it remains the home of our family. 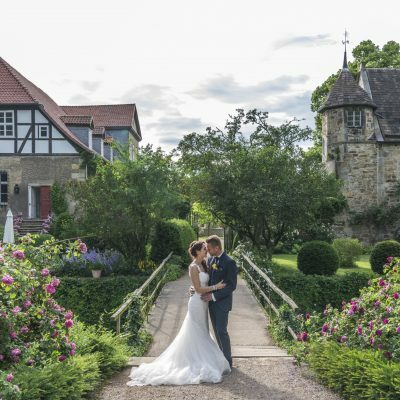 With the individual buildings dating from different eras and a park in the style of an English landscaped garden, Remeringhausen Manor is an interesting testimony to a bygone past. 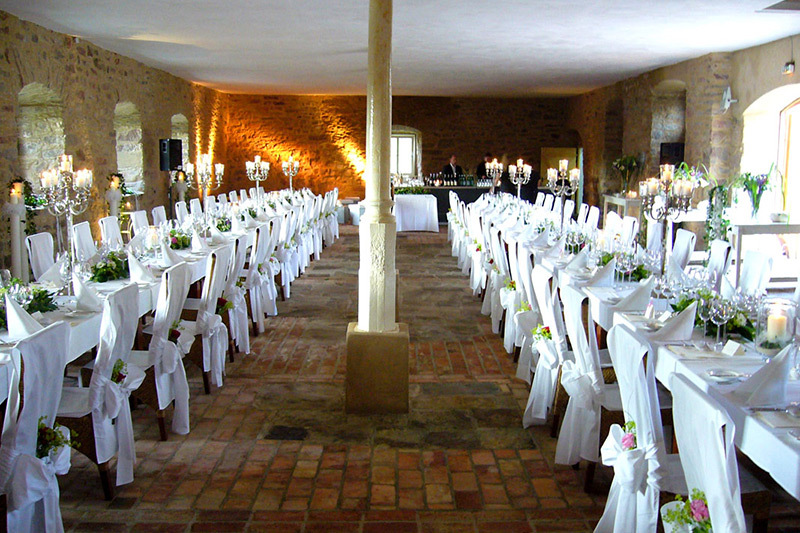 The historical atmosphere of the manor offers the perfect frame set for your event. A festive reception, a wedding party, a civil ceremony, Christmas party, seminar, conference, workshop, exhibition – You name it, we arrange it. 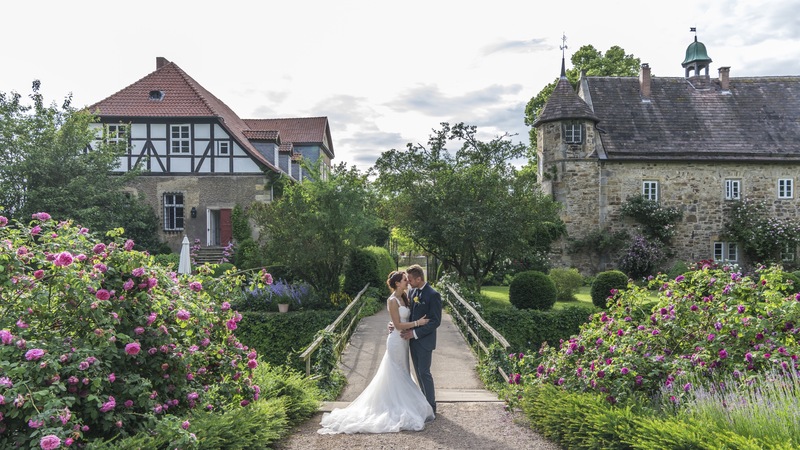 Remeringhausen Manor is one of a kind and boasts the most idyllic and undisturbed standalone location combined with a wide moat, the English landscaped garden and a scenic courtyard. 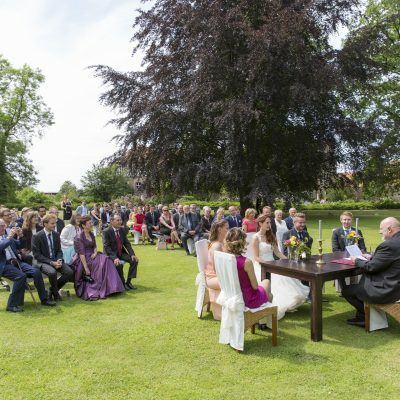 You can choose between a wide variety of indoor premises and outdoor opportunities, whatever best suits Your special occasion. 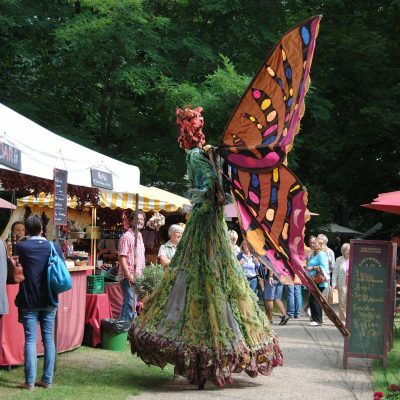 Three very different garden festivals, the first of them established already in 2001, bring life and color to the manor throughout the season. 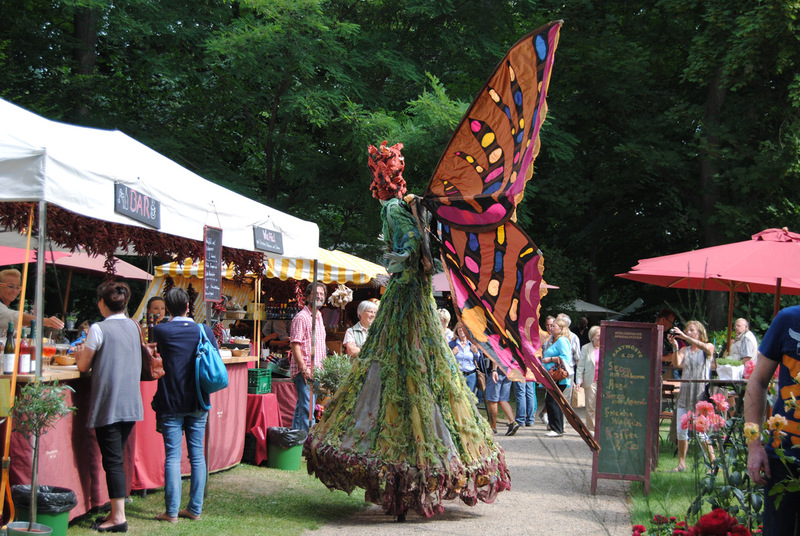 The PFLANZENTAGE (plant days) mark the season opening in April, followed by the BRITISH WEEKEND in June and, last but not least, the PARK FESTIVAL ROMANTIC GARDEN in August. We organize these three festivals hand in hand with our dedicated team, and we place our emphasis on giving each one its own its very own theme and character, something we can only achieve thanks to our great passion for detail and a first-class program. 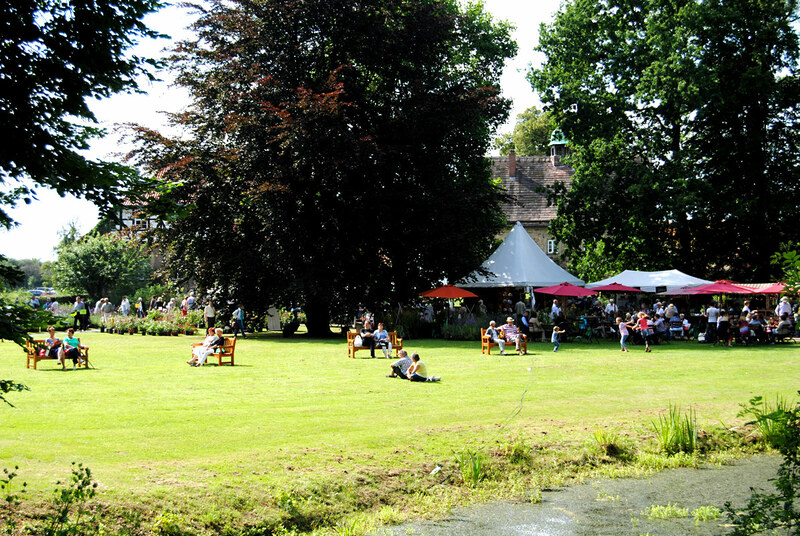 Remeringhausen, with its wide variety of buildings and premises, the large English landscaped garden themed park and the unique standalone location, is the perfect backdrop for film and photo shoots and has already served as a location for reputable film and photo productions. 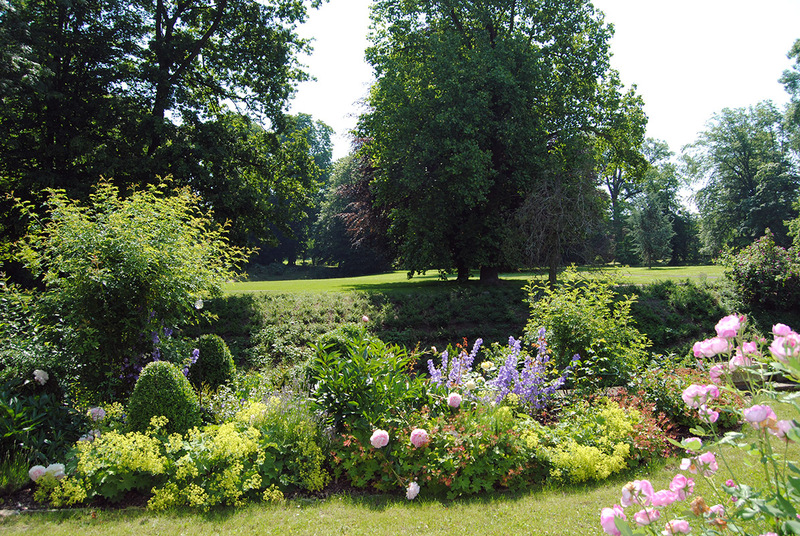 The Remeringhausen Manor park is one of only very few English landscaped gardens in northern Germany. 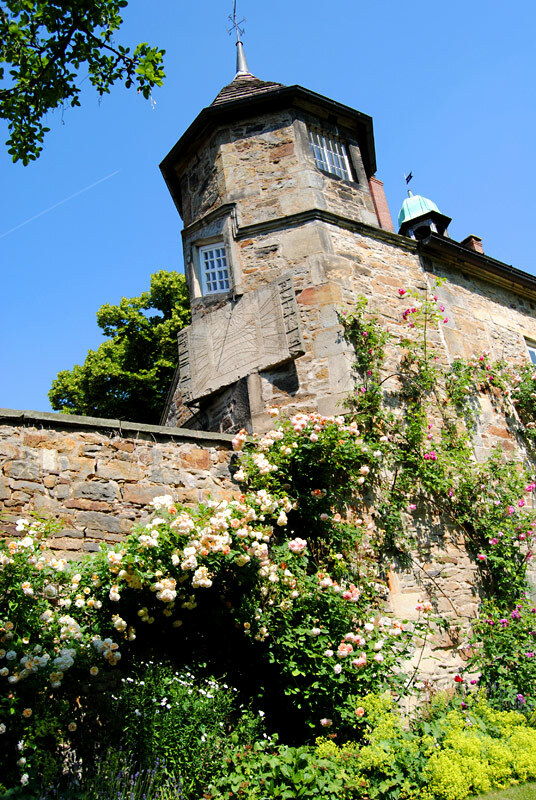 Dating back to the year 1806, it was created by the court gardener of Kassel, Homburg. It was reestablished according to the old plans in 1999, and we have been working on extending it little by little ever since. Individual and guided visits to the park are possible by appointment. 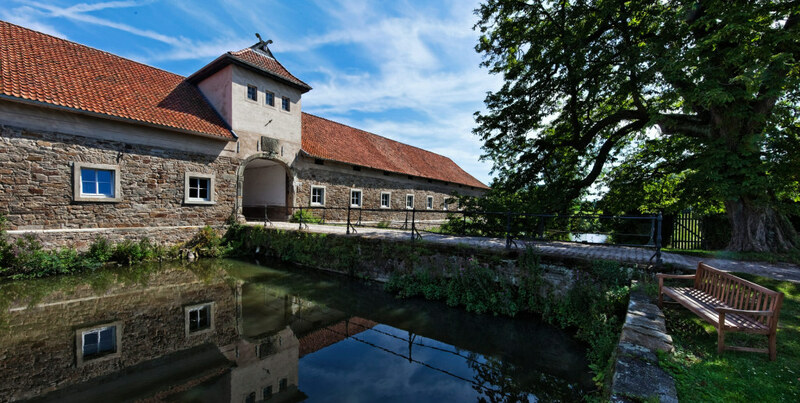 The history of Remeringhausen Manor is inextricably linked to the name of the von Münchhausen family. 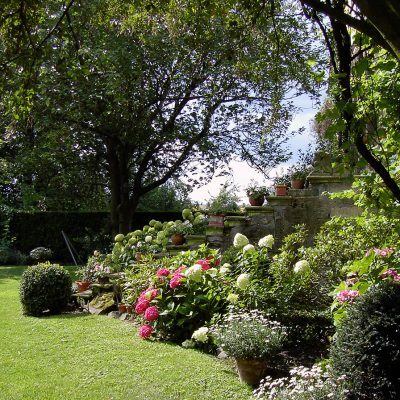 Even though not in direct succession, it has been owned by the family for twenty generations. 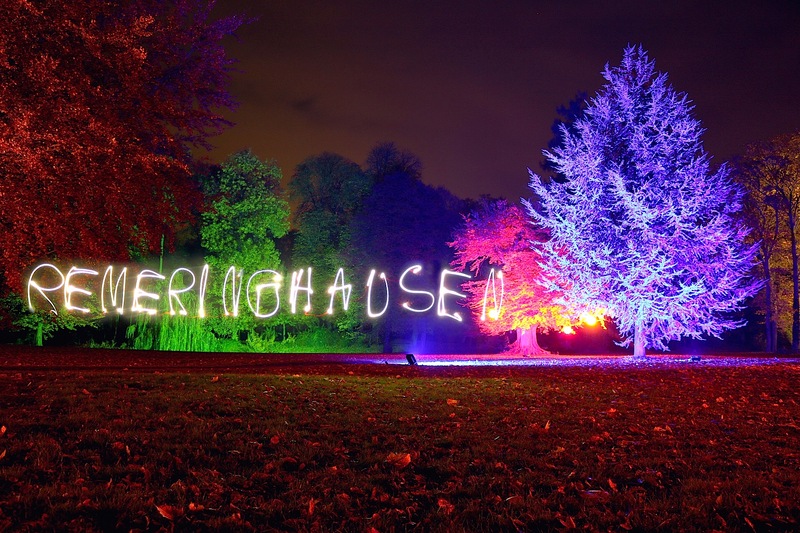 During the centuries Remeringhausen has always been inherited by nephews or sons-in-law if there was no direct male offspring. 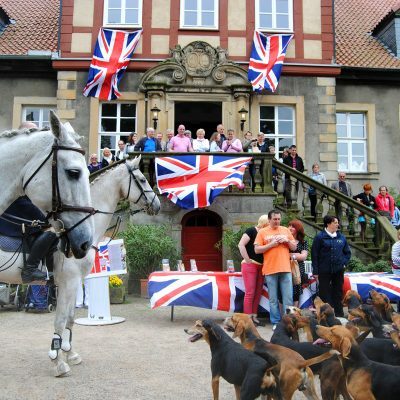 Tania von Schöning, who inherited it in 2007, is the first female descendant to own the manor. 1565 Börries von Münchhausen, born 1515, Owner of the Manors Apelern and Lauenau, married to Heilwig Büschen, inherits two estates from his father-in-law, Claus Büschen: Oldendorf Manor and Remeringhausen Manor. The famous poet Börries von Münchhausen (1874-1945), who spent a lot of time at Remeringhausen searching for inspiration, writes the Ballad “The Last of the Noble Family” about this inheritance. 1594 Ludolf von Münchhausen „the Scholar“, son of Börries v. Münchausen, born 1570 in Apelern accepts his inheritance of Remeringhausen, after a termination agreement to the lease has been signed with the leaseholder, Joist Fresking, in 1591. The official transfer is completed in 1594. 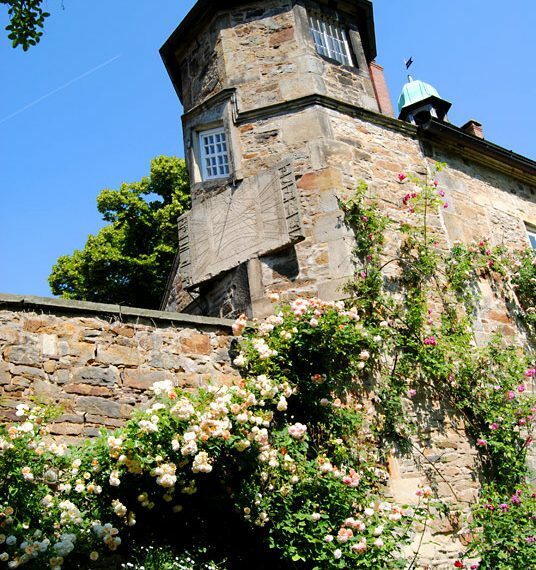 By acquiring the manor in Remeringhausen, Ludolf aims to create a manor comparable to other noble courts. 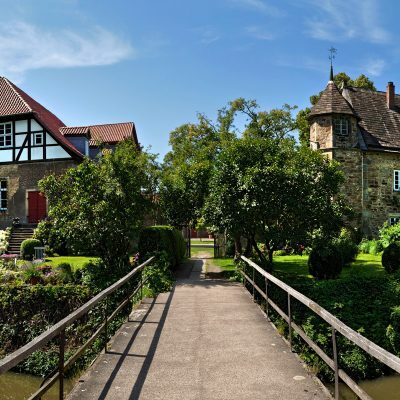 1596 to 1599 The farmhouse is taken down and costruction of a castle in the style of the Weser Renaissance starts. Today only a part of this castle remains, the so-called small castle. Immunity from taxes has to be obtained from the sovereign, Count Ernst. 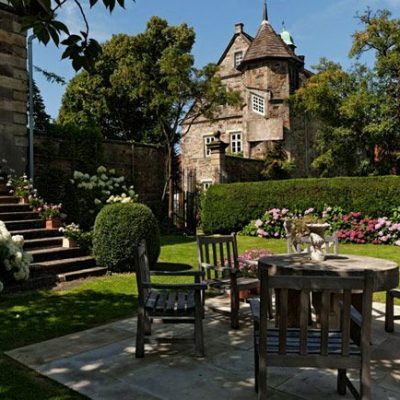 A redemption payment is agreed on and the manor is declared a noble residence exempt of taxes. A noteworthy detail is the sundial from the year 1596, which can be found on the southern side of the stair tower. It was originally intended to be installed at the Stadthagen town hall. 1600 Ludolf marries the 15-year old Anna von Bismarck of the Krävsen and Schönhausen family (alliance coat of arms on the small castle). The marriage produces 18 children. Ludolf has traveled more than almost any of his contemporaries, and he is a passionate book collector. He establishes an impressive library, which becomes very widely renowned. Unfortunately it does not exist anymore. Another thing worth mentioning is an epitaph on the Heuerßen church commemorating Ludolf’s and Anna’s son Christian, who was slain while collecting the tithe from the local farmers in Schöttlingen. 1701 Ludolf’s grandson Börries von Münchausen married to Sophie Catharina von Voss– builds the largest mainson. Once more Remeringhausen is handed down from father to son, in other cases to cousins or nephews. 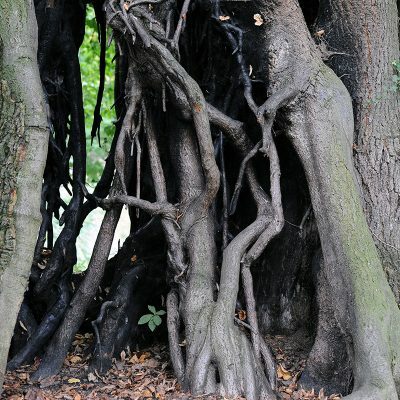 The estate is hardly ever inhabited by the owners themselves and badly neglected throughout the years. 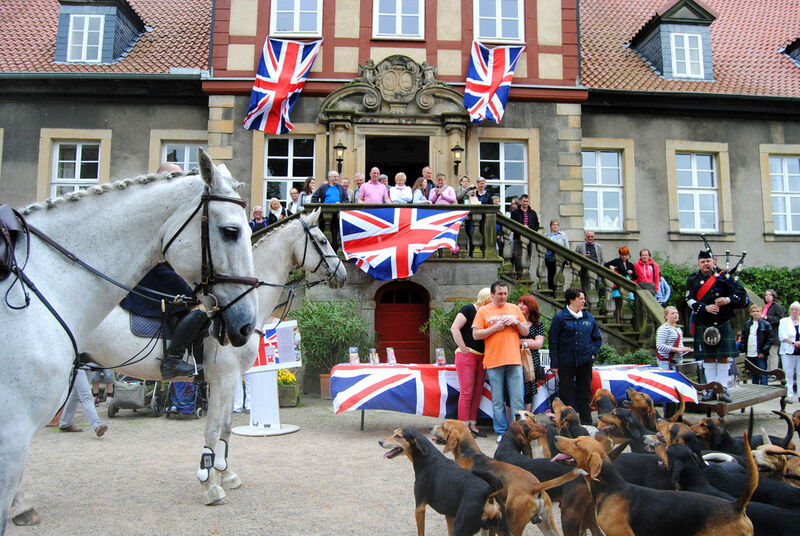 Since 2007, Tania von Schöning is the first female owner of the manor in the history of Remeringhausen. 1930 a fire destroys parts of the gatehouse as well as the barn built in 1765. Both are re-erected. 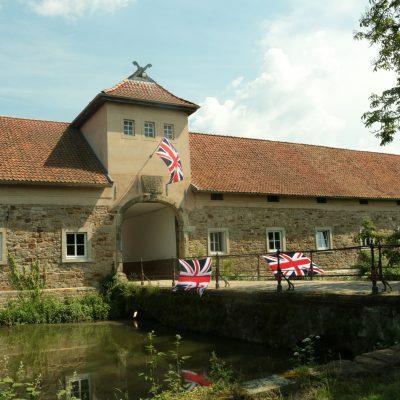 An second fire destroys another prominent building of the estate: In 1963 the 300-year old timber-framed barn at the driveway to the estate burns to the ground. 1944 to 1945 after Eberhard von Breitenbuch attempted to assassinate Hitler and the German Resistance led by Count Stauffenberg (which Eberhard von Breitenbuch was part of) is revealed, Breitenbuch finds himself in captivity after the end of World War II. 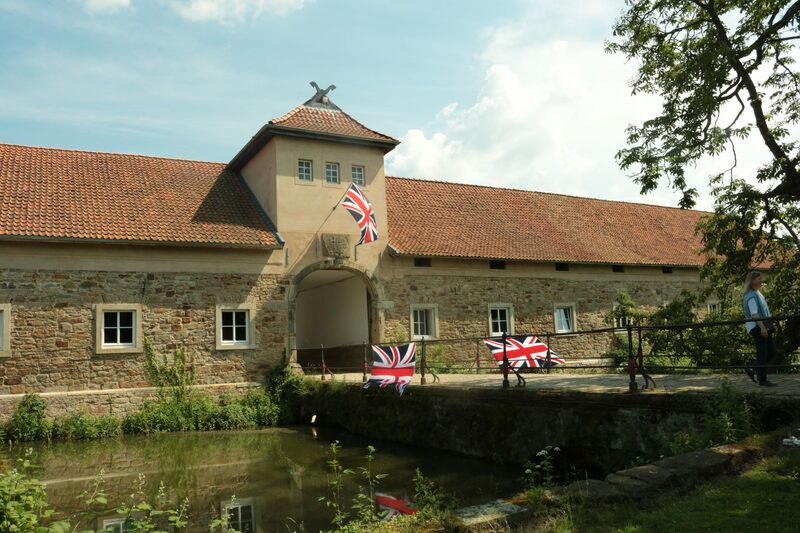 1945 Head Forester Eberhard von Breitenbuch and his family are forced to leave their home in Thuringia and Saxony. Hans-Georg von Münchhausen, owner of Remeringhausen and uncle of Eberhard, hosts his nephew’s family on the attic floor of the mansion for a while, and they have to share their living space with countless other refugees. Later on, the family moved to the downstairs premises of the mansion. 1952 Hans Georg von Münchhausen passes Remeringhausen to his nephew, Eberhard von Breitenbuch. 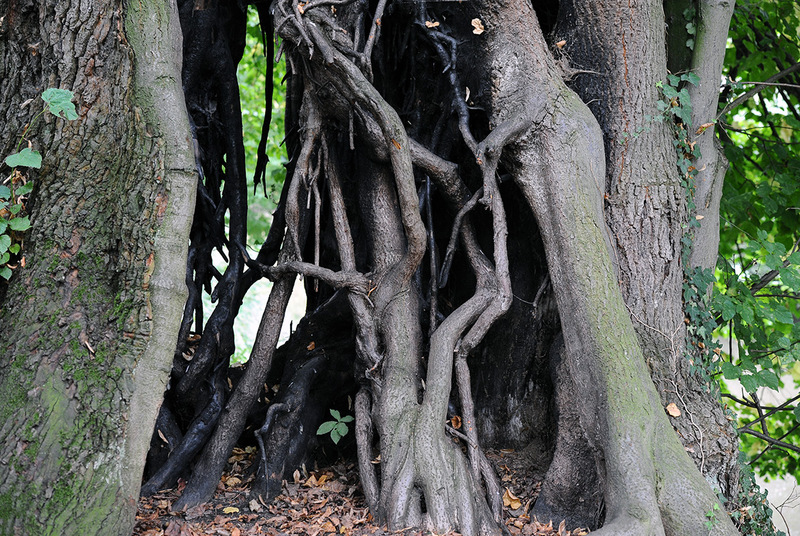 The Head Forester Breitenbuch never manages Remeringhausen himself, and he only moves here after his retirement in 1974. 1965 Eberhard von Breitenbuch bequeaths the estate to his son Hildebrand. 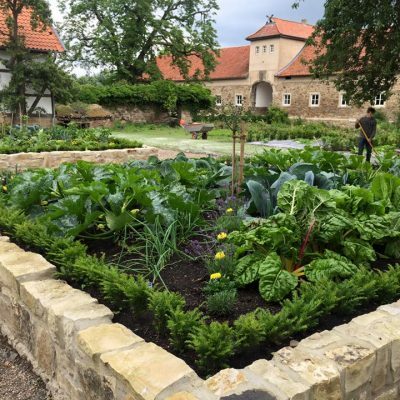 1975 Hildebrand von Breitenbuch himself takes over the agricultural management of the estate, which has been permanently on lease until then. 1976 The roof of the manor house is renovated. 1989 The roof of the little castle and the sundial are renovated. 1998 Restoration of the manor park in cooperation with Stiftung Historische Gärten (foundation for historical gardens), Schaumburger Landschaft (Schaumburg landscape) and other institutions. 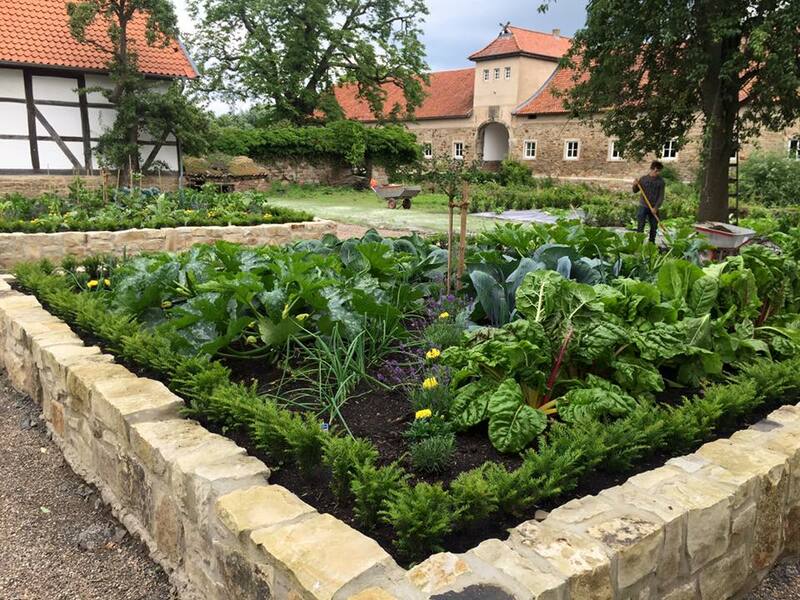 The park is re-created according to the original plans of court gardener Homburg from the year 1804. 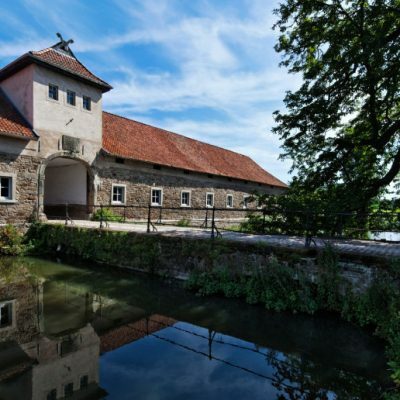 1997 to 2000 Tania and Nicolaus von Schöning perform a complete renovation of the little castle. 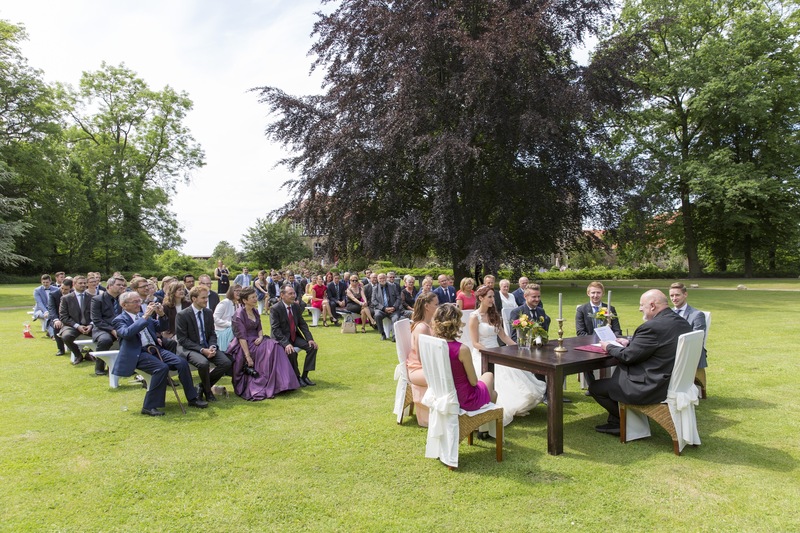 At this time both Tania and Nicolaus von Schöning still live in Mecklenburg-Hither Pomerania and work as a lawyer and an agricultural engineer there until 2001. 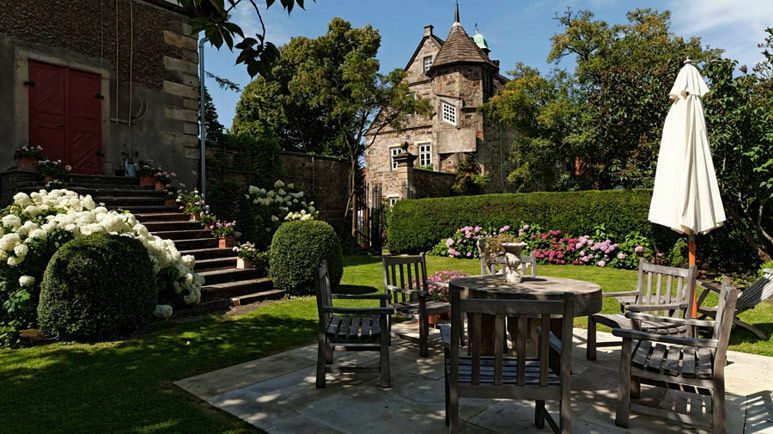 Just in time for Expo 2000 the little castle shines with new splendor and enjoys the privilege of hosting the Canadian Commissioner General of the Expo and his wife for half a year. 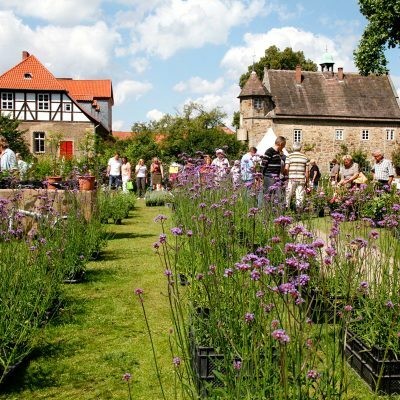 2001 Tania and Nicolaus von Schöning move to Remeringhausen with their kids and for the first time organize the ROMANTIC GARDEN park festival. 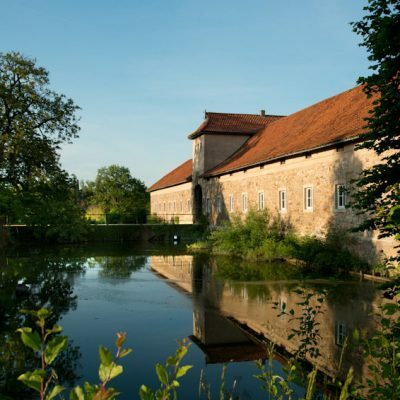 2007 Hildebrand von Breitenbuch transfers Remeringhausen Manor to his daughter, Tania von Schöning, who from this day on runs the affairs of Remeringhausen with her husband, Nicolaus von Schöning. 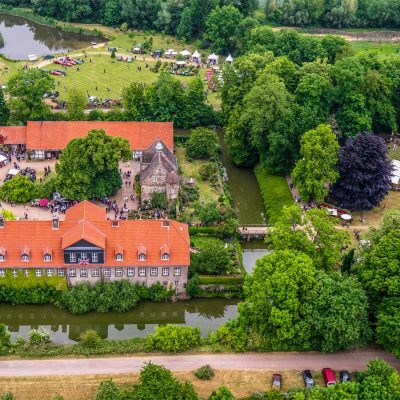 They continue the agricultural use of the estate and furthermore establish Remeringhausen as an event location. 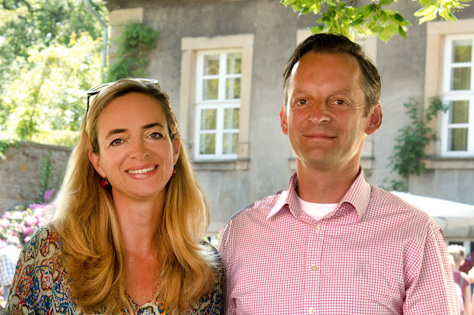 2002 to 2014 Tania and Nicolaus von Schöning engage in extensive restorative measures on all buildings around the courtyard as well as on the park of the manor. 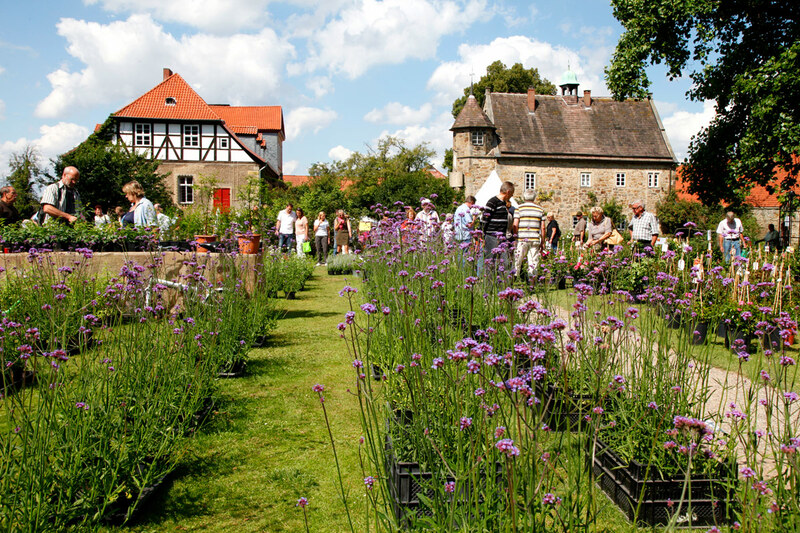 2006 Tania and Nicolaus von Schöning establish a new annual event, the PFLANZENTAGE (plant days). since 2012 Considerable measures for expansion of the park. 2014 Reconstruction of another stable building, which had been destroyed in a fire in 2012.